Almost twelve months since her appearance at the Maverick Festival, Canadian artist Sarah Jane Scouten has returned to have another crack at the UK market with a series of dates across the country. In the true tradition of roots performers from Canada proudly representing their country’s musical heritage overseas, Sarah Jane follows a lengthy line of distinguished artists and a superb performance at the Marr’s Bar venue in Worcester confirmed her status as a worthy ambassador. For just over an hour in this intimate location, Sarah Jane cut a solitary composed figure on stage armed only with a faultless acoustic guitar, fleeting fiddle and a voice drenched to the core with an iconic country sound. At this point it is worth commending the superior musicality that emanated from her unplugged guitar amplified only by a vintage mic ripening the overall sound. These crisp clear tones helped transport a number of tracks from her two albums to a live setting in enriched measures. Inspired by the gut wrenching honesty of traditional country music and the artistic beauty of creative folk, Sarah Jane etched her own authentic vocal style on each song to show why her talents have attracted award nominations back home in Canada. Sarah Jane’s revelatory on stage persona pictured a slightly nomadic character being brought up on Canada’s west coast before an eastward migration to cut out a career in Montreal’s music scene. Now residing in the province of Ontario, her observations from travelling and making ends meet form an integral part of the song writing. This began with the opening song of her set ‘Poverty Wind’ which was lifted from the 2011 release MAGPIE WALTZ and depicted the migratory homeless problem initiated by Vancouver’s temperate climate. Alongside tracks from the latest record THE CAPE and a yet to be named new song, the fiddle was the chosen instrument to demonstrate an intense love of American roots music with tunes from West Virginia and Alabama. At this point Sarah Jane proclaimed her love for the Old Crow Medicine Show, a bunch of guys useful to have as your inspirational heroes. 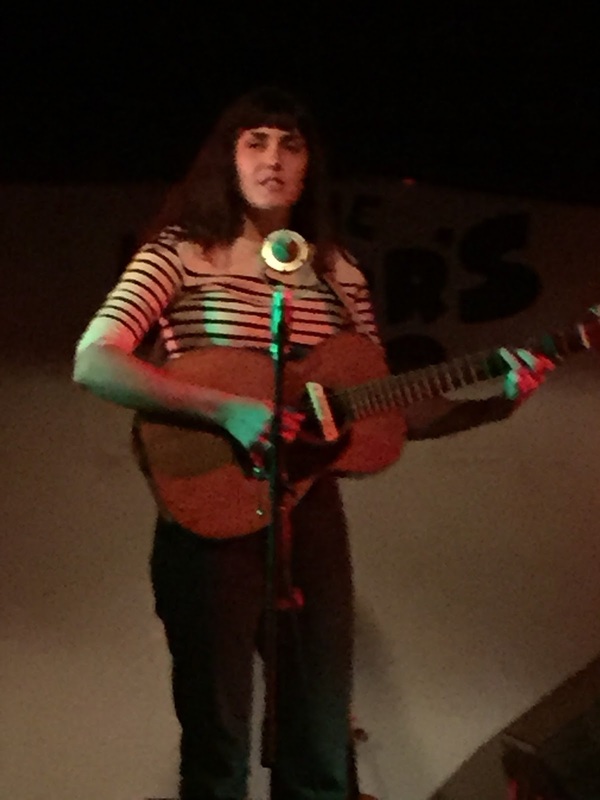 Prior to Sarah Jane taking the stage, local Worcester singer-songwriter Claire Boswell entertained those present with an impressive set of sweetly sung folk music heavily influenced by the classic sounds of early seventies American music. Citing Crosby Stills and Nash as her main point of inspiration, Claire mixed a handful of songs from her debut self-titled release with the odd cover which included a version of ‘Dreams’ by Fleetwood Mac. ‘Under the Bridge’ and ‘Reason to Believe’ were two originals which stood out from the pack, but the overriding memorable aspect of Claire’s set was a stunning beautiful voice which exceeded the expectation from 90% of opening acts you witness on the circuit. This attribute alone makes Claire Boswell an artist to look out for in the future. So in contrasting styles it was an evening of two perfectly tuned voices which ultimately made this event a success. Sarah Jane Scouten showed a potential to establish herself as a perennial touring artist and will hopefully get the opportunity to play some more festivals next time including a return to Maverick. She was the perfect example of a classic country folk sound being in the capable hands of the next generation.